Difficult to know where to start and end with this game. From a Crew fan perspective it was a wild match but for the Portland Timbers... it's just another night. One that, for teams bound by philosophic commonalities, isn't yielding results in this increasingly disrupted World Cup MLS season. Where does Portland find these players? After talented Maximiliano Urruti gets Portland off to a dream start in the first 10 minutes a player like Alvas Powell, a 19 year old Jamaican International filling in for regular Michael Harrington, fouls the hell out of Chad Barson well in the Crew half and earns a sending off. In between those events, Federico Higuain chips Donovan Ricketts to even it up in the 14th minute. Later, right before the stroke of half, the Crew's Giancarlo Gonzalez draws a penalty off a corner attempt. 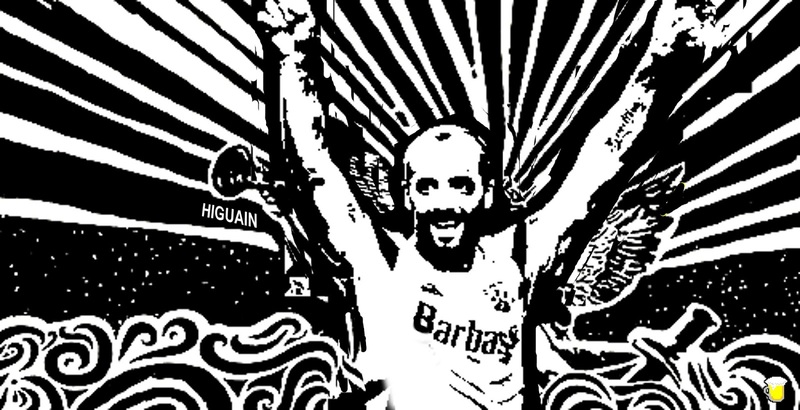 Mr. Higuain steps up to finish it putting the Crew up 1-2. The Crew should have put this game to rest but somehow Portland found another from Will Johnson to make it even. Columbus responded, as they should have, when sub Ethan Finlay ripped one off his left foot and got a lucky deflection for goal (fortunate for Finlay but well deserved for a player that has absolutely earned for the hard working player, considering what's he's been through the past few years). With 3 points again in the hands of the away side that tops the league in possession, Portland finds a way. Sub for a sub Gastón Fernández (who was easily the most talented player on the evening) scored late on to even it for good at 3-3. Game. What do you do with a game like this one? It should be an awesome match featuring a couple of the young and progressive coaches in the US. Instead... One: it's a very late one for a east team playing in the western time zone. Two: It's being played on a horrible surface created by aliens. Three: Portland has support that creates a circus-like sideshow atmosphere. To describe it is to give it more credit it deserves. The leadership of the organization is rotten and they (and Caleb Porter) are lemmings being lead off a cliff. Columbus should have won this sucker and with Michael Parkhurst and Waylon Francis, I think they do. Parkhurst replacement Tyson Wahl had a bad give away on one of the Portland goals and in games like this that all it takes. After the game ended the camera panned over to a collection of Argentine players exchanging jerseys, chatting it up. Smiles all around. Federico Higuain, Diego Valeri, Maximiliano Urruti, Gastón Fernández. All had a pep in the step this match, rightly so. Their existence in MLS is the product of a an expensive league project to mine players from South America. While what fans saw this match was exciting to watch because of that, we are also reminded that this is just a small cross section of players that make up something so much more on the opposite side of the world. Columbus hosts Chicago next weekend.